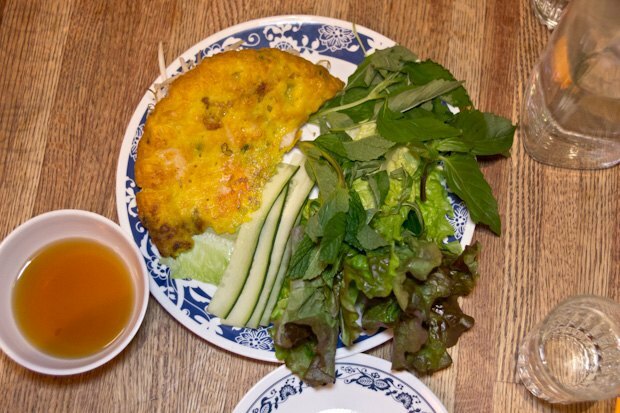 Finally, finally, Bunker Vietnamese reopened on 99 Scott Avenue. 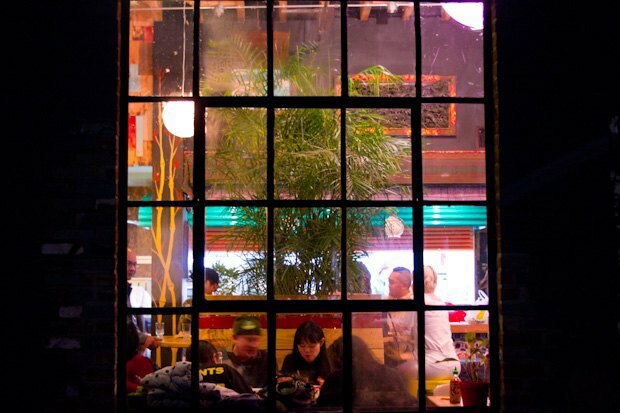 On a frigid Thursday night we found ourselves trickling through the industrial park with the vision of warm delicious Vietnamese food in our bellies. 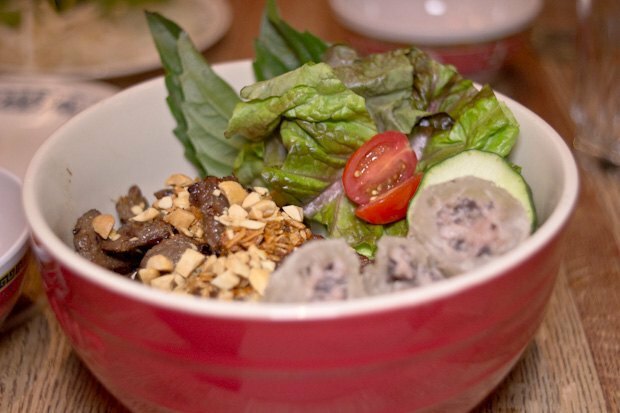 After a long wait, the wonderfully phenomenal restaurant, Bunker Vietnamese, has re-opened at a new, much larger location, 99 Scott Ave. 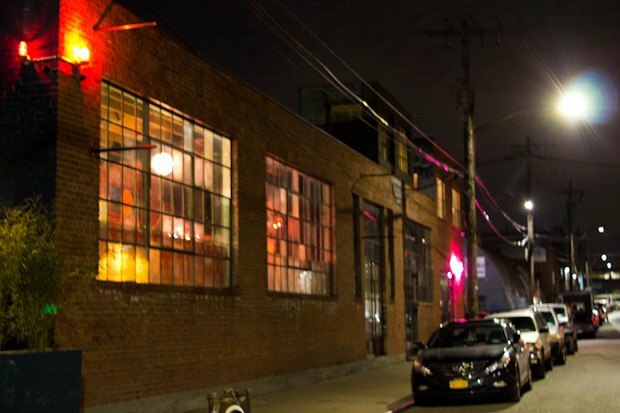 Similarly to their former location at 46-63 Metropolitan Ave., the new space remains situated in the realm of functional industrial warehouses. But is is important to mention that it takes only 8 minutes of walk to get there from the Jefferson L train stop, unlike the 15-minute walk to their previous location. New Bunker shares its walls with meadery Honey’s, another one of the delightful new establishments we’re really excited to have in the neighborhood. And if you’re a fan of electronic music and large raves, you will recognize the space as a former home of a pop-up dance club, Brooklyn Mirage. Bunker is so deserving of its new, delightfully spacious location. Already on their opening night, the patrons almost entirely filled the large warehouse, the walls of which are painted in friendly pastel colors that make you want to travel right the second you step in. Bunker seats about 100 patrons, which is a huge improvement from their friendly, but very tiny whole-in-the-wall location on Metropolitan that barely fit five tables. 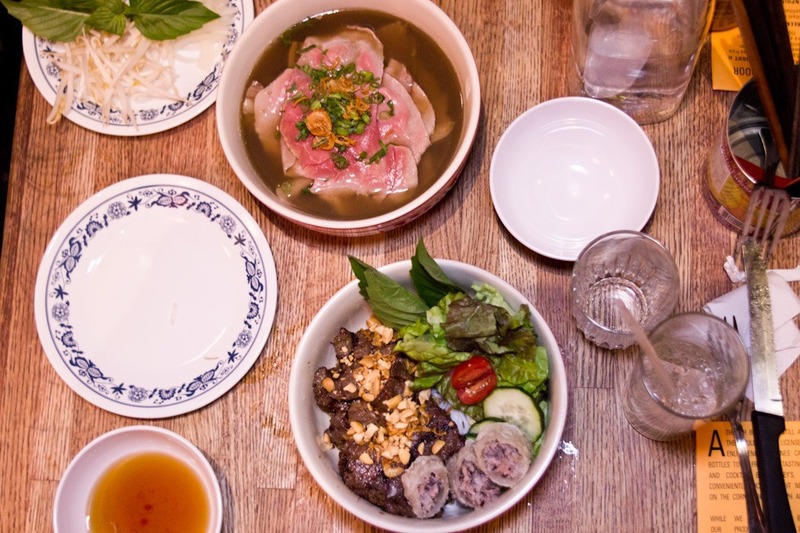 The vision for Bunker as a destination for Vietnamese street food that the owner Jimmy Tu and head chef Jeremy Culver presented to Bushwick Daily back in November, really shines through. 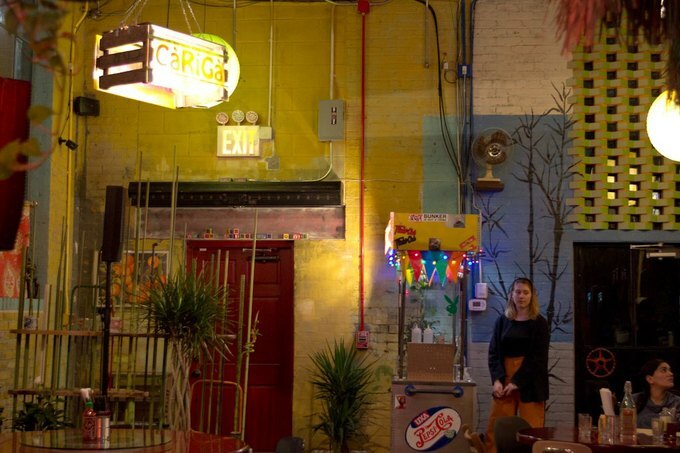 As you walk in, a hostess will greet you from behind a food cart; the furniture is colorful and mismatched; the photographs and pictures on the walls are delightfully random; and a string of colorful lights adorns a little stage dedicated to DJs and bands. As you look up you’ll see a myriad of lanterns. The long bar stretches around the kitchen serving currently only soft drinks as the establishment still awaits their liquor license. In the warm months, Bunker will open a lovely terrace that according to their GM Soraya Odishoo will offer private huts for smaller groups. We also got a tour of Bunker’s roof that in the summertime will provide a scenic spot for drinks and cocktails. Expanded space found its manifestation also in the Bunker’s expanded menu. 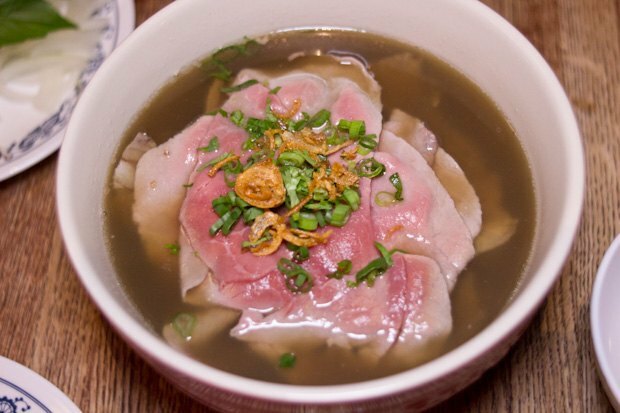 Besides its famous items such as pho ga you can look forward to a myriad of new menu items from starters through bahn mi sandwiches to main courses. Note: The vegan faction of Bushwick Daily team swears by this new menu as well! Make sure you swing by Bunker one of these days. This new and improved incarnation of local favorite is sure to win your heart (and stomach)! To find out more about new Bunker, read a detailed report by Cristin Noonan we ran in November. 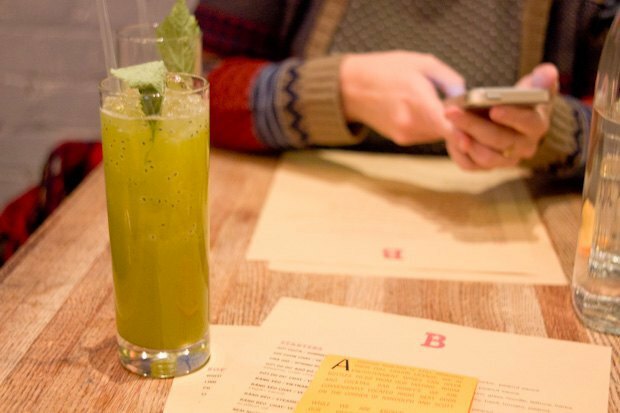 Eater has Bunker's full menu. 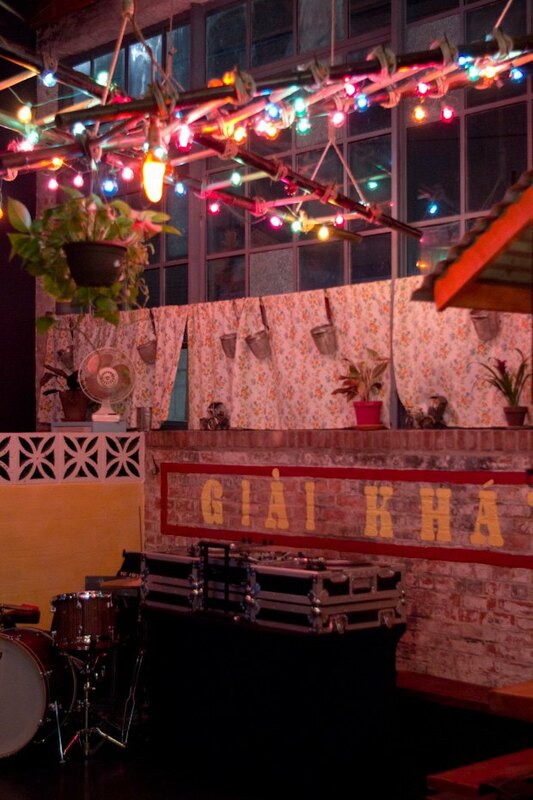 The purveyors of phenomenal Vietnamese street food, newly relocated at a spacious converted warehouse. Tue-Sun: 5 p.m. - 11 p.m. Follow the them on Instagram.